The Great Depression of the 1930's brought many changes. 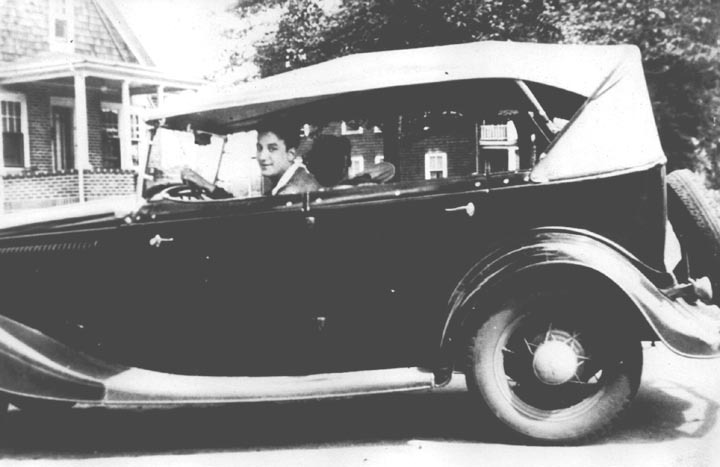 In 1930, at 15 Newton Street lived Francesca Paola LoDico (60), Frank (43) and his second wife Catherine (27), with their sons Frank Jr. (Buster) and Randolph (Randy). 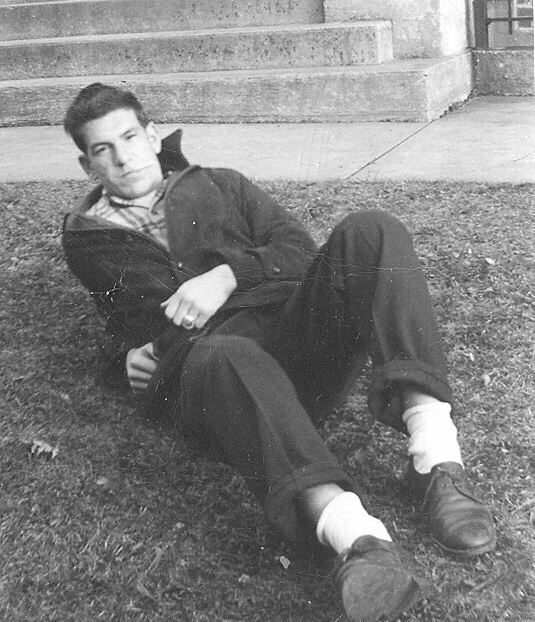 My Uncle Jim was 24 and a meat cutter and my father, Alfred, was 15. 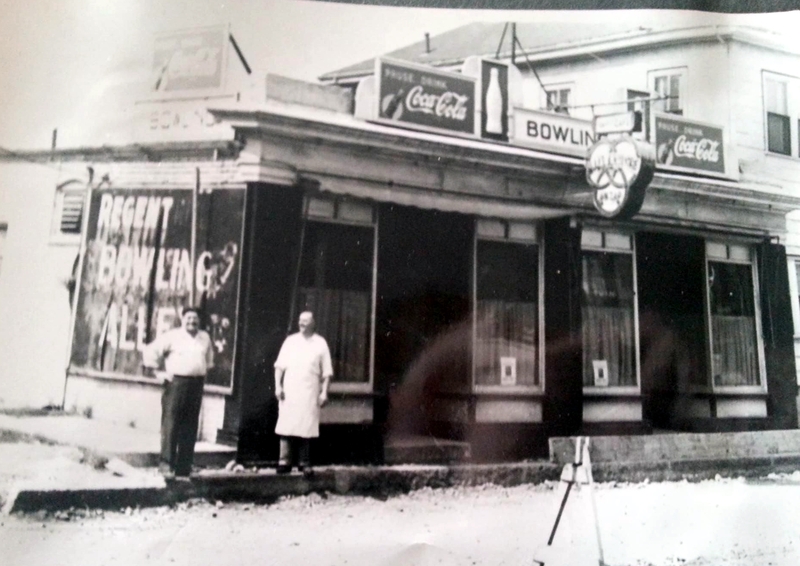 Frank had his barbershop at 386 North main Street, close to Cottage/ Pleasant Streets. 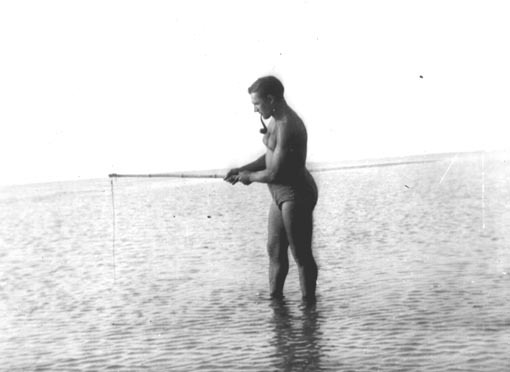 My Uncle Joe (Prospero) lived in Stoughton, Mass. and owned a meat store. That's where Jim worked. 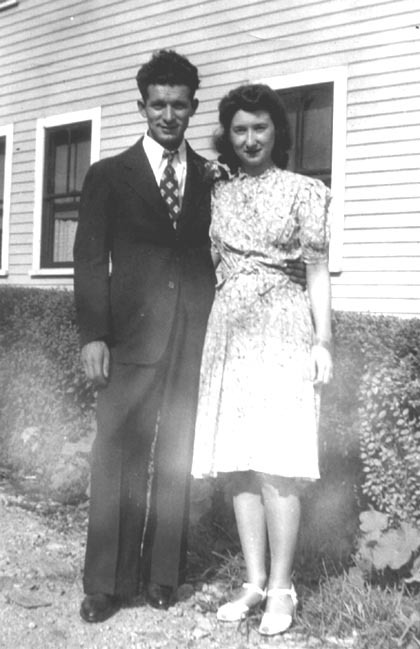 Joe was 29 and married to Rose and had 5 children. 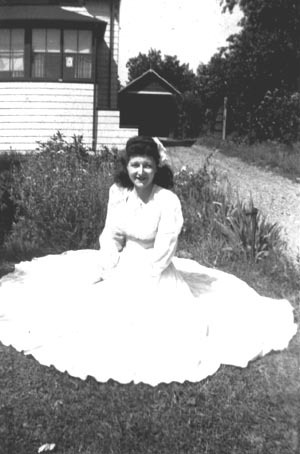 The sisters: Mary and Jenny were living in Quincy and Angelina was living on Pratt Street in Mansfield. 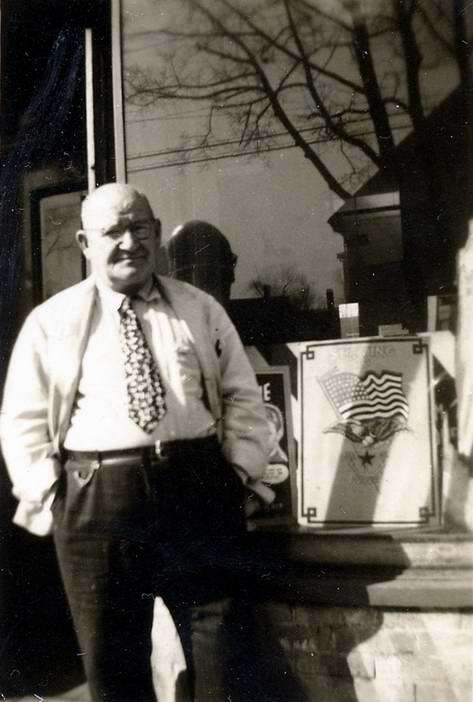 My uncle Charlie (Carmelo) was also living in Quincy and had a barbershop on Germain Avenue. 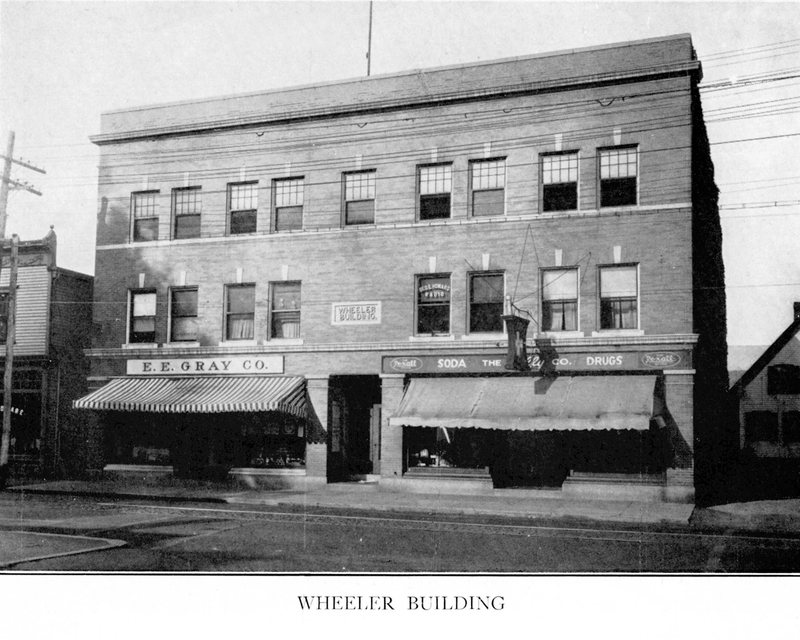 Later, with his wife Mary Savage they would open a hairdressing / beauty parlor in Quincy. By the mid 1930's jobs were hard to find. I remember my dad saying every day he would go up to the train yard in town to pick up the pieces of coal that fell off the engines. He would bring them home to heat the house and cook the meals in the stove. 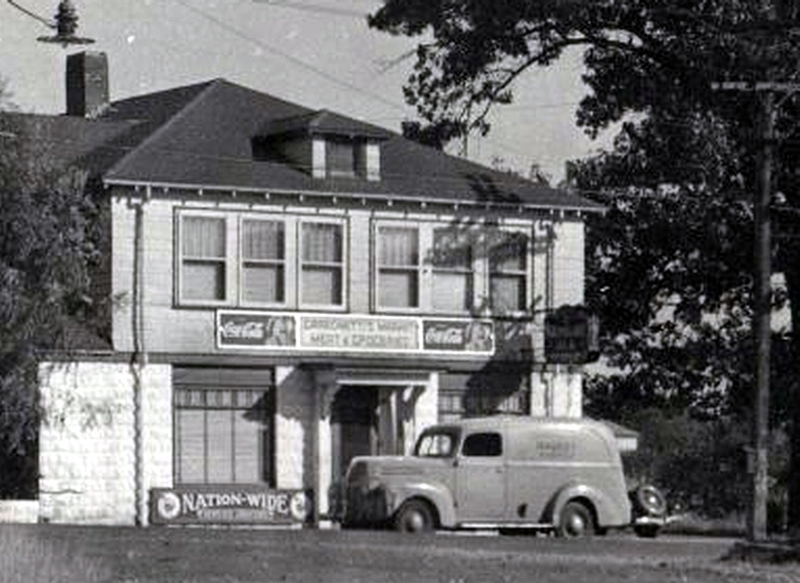 When Prohibition ended in 1933, this ended the speakeasy's and home-brew or 'garbage shine' in Mansfield. Joe Vieroli had a shine mill on Angell Street and the stuff was really garbage. It sold for $0.50 per pint and Stichy Guerrini used to peddle it. 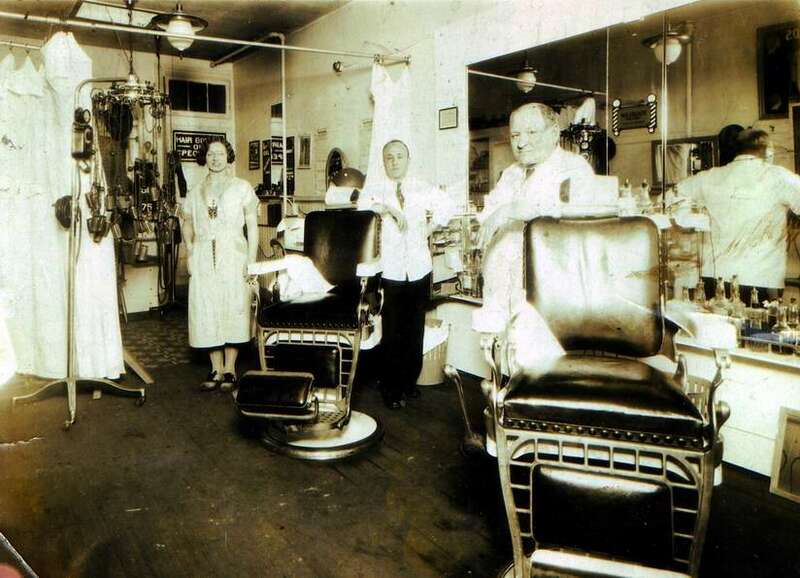 Rondoni operated a parlor beer salon but went out of business too. 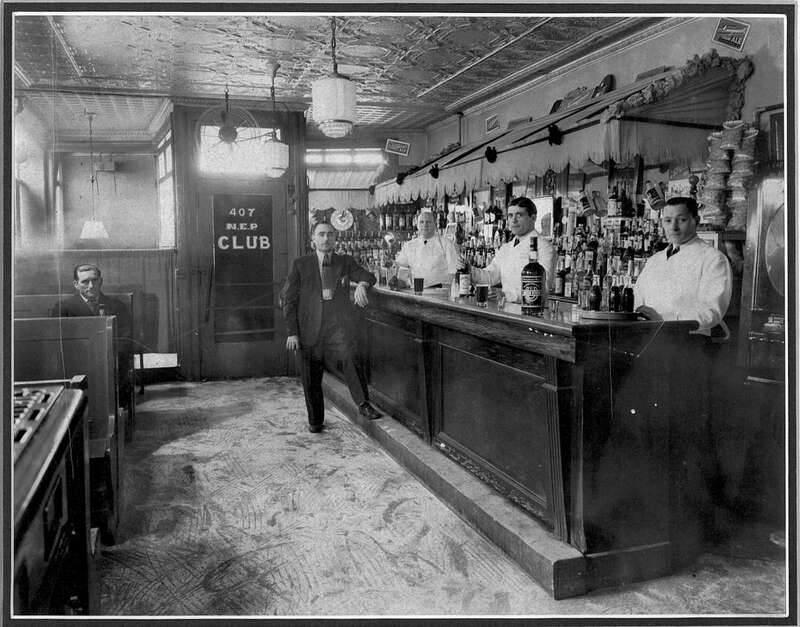 With the 18th Amendment repealed, one had to have a license to sell alcohol and they all seemed to go to the Italians in town: Jacks Cafe, Annese's Regent Cafe, Marconi Club, Mizzini Club, Tippy's (owned by Givini's), Joe Romano's Mansfield House, the Tavern and the Rex Club. 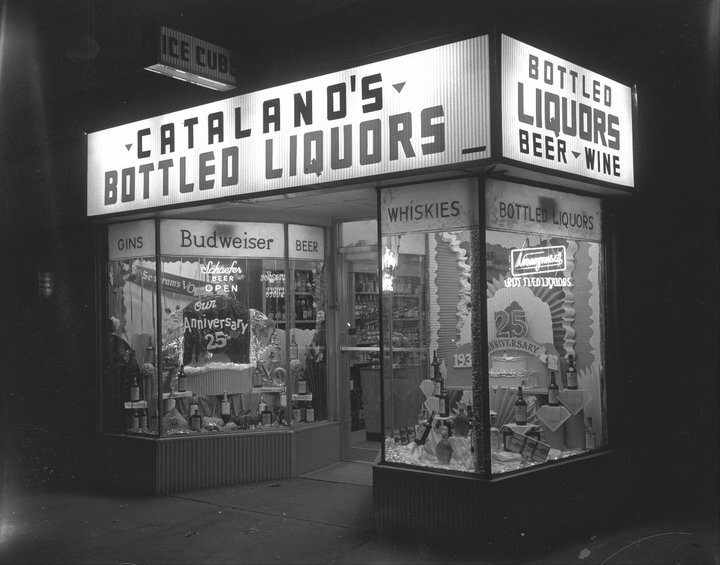 The package stores were owned by Carbonetti, Cuneo, and Catalano's. 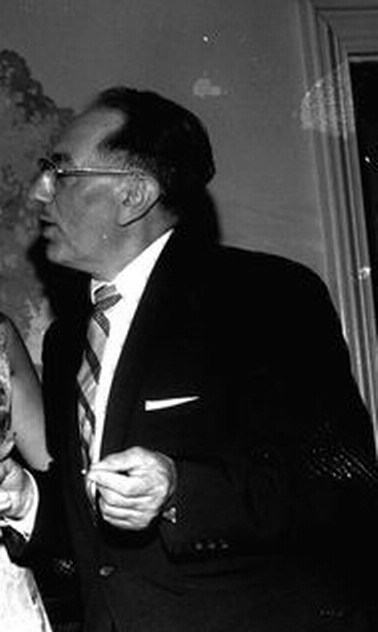 With no work, most of the Italians hung out in the clubs. One popular card game played at the time was "First Boss / Second Boss" This was a drinking game. A serious drinking game. It pitted luck with friendship. There was always fewer beers than players. A First Boss could choose who was Second Boss and the Boss's chose who got a beer and who went dry. Roger Thayer, recalls playing this game with Pete DeLutis of Fuller Place. 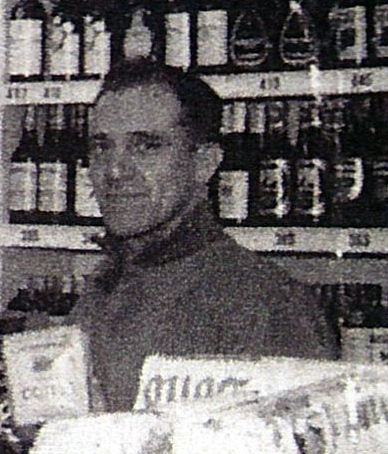 When a friend of Roger's became Second Boss, he gave Roger a beer. All hell broke loose. It meant some Italian was going to go dry. Pete complained loudly. He knew he could be sent dry and he was. Pete yelled 'How could you give him a beer! He lived "south of the lights"! An obvious reference to the North End and being Italian. Italians are just like elephants, they never forget. Pete didn't and neither did Roger. This was a time if you got through high school or you were 16 and old enough to work you went and got a job or learned a trade. College was only for the rich and smart ones and that left many out, including my father and Roger. 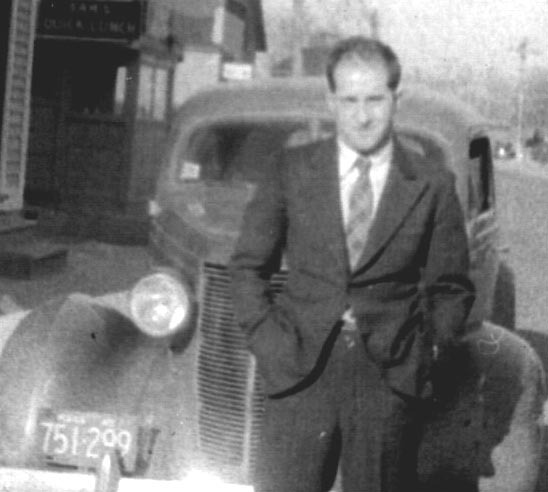 This was a time of 'firsts' for many of these 1st generation Italian Americans. 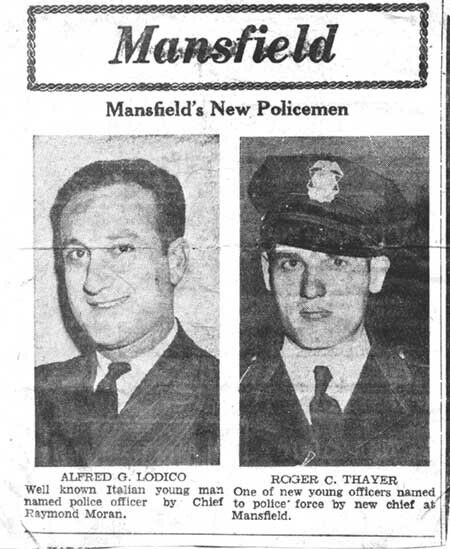 My father was the first Italian to become a Mansfield policeman. 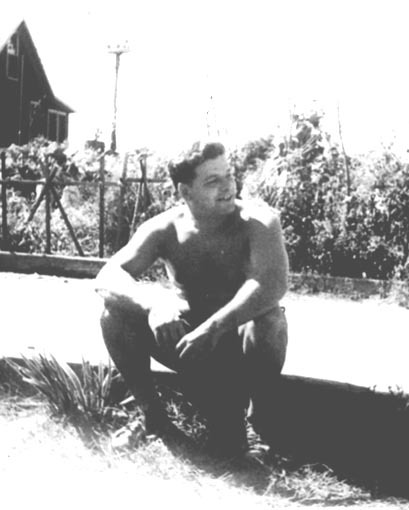 Rocco Falotico was the first Italian in the town's water department. Peppy Albertini soon followed him. On the police force came Nick Rossi and Larry D'Afile, both became Chiefs. 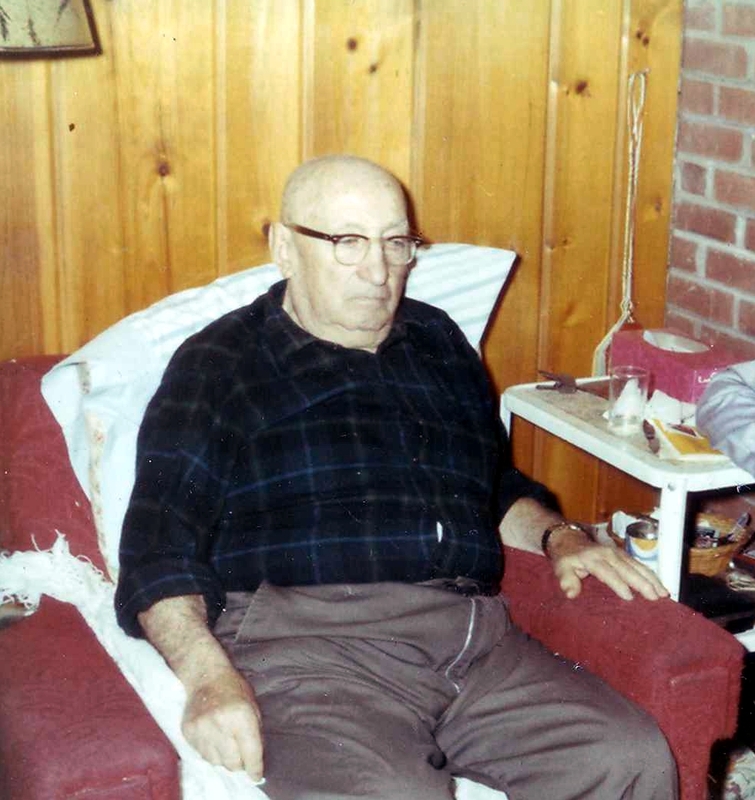 Joe Cataloni was the first Italian town selectman. Carl DePrizo was the first medical doctor. 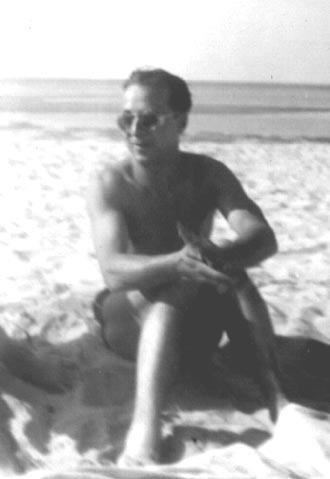 Italio "Yip" Baldini was the first to pass the bar exam and become a lawyer. 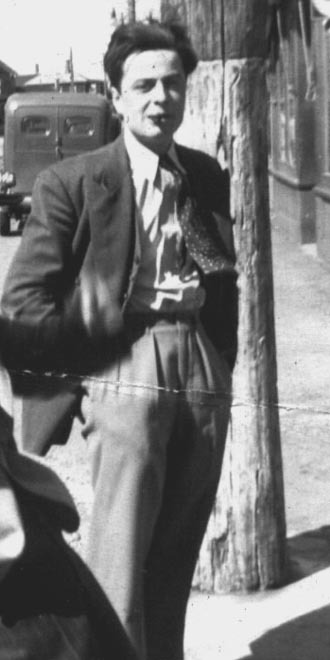 Hugo "Putt" Blandori became an FBI agent in WW2. 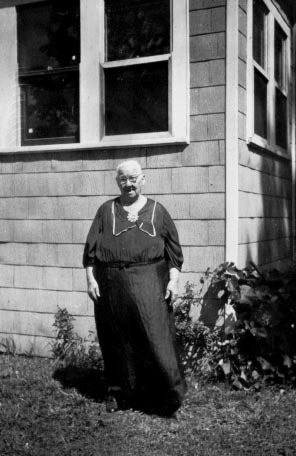 Catherine Pellegrini was the first full college graduate at Wheaton College. Sal DeLutis was a candidate in the local elections but didn't win. Leo DePrizio was the first Italian to become a full priest. 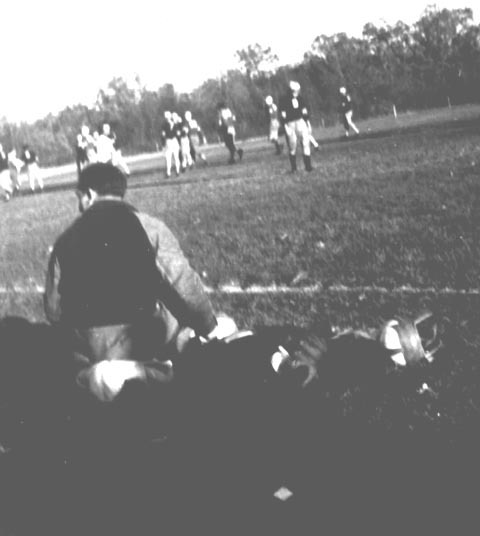 By the late 1930's Mansfield had a professional football team called the "Townies". There wasn't one Italian on the squad. Almost all were Irishmen, big Irishmen with names like Donahue, Darmedy, Dennehy, and Dacy. The Italians played a game called "Kick the Bar". 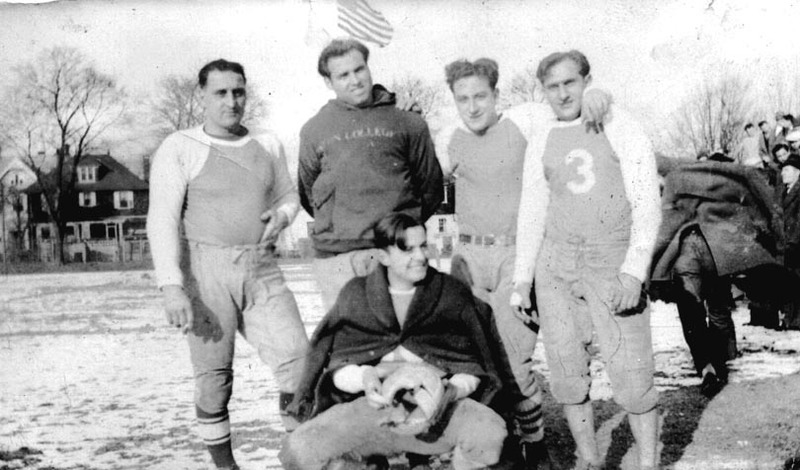 In the early 1930's Aldo Carbonetti had graduated from Boston Trade High School and played the game there. He brought it back to Mansfield. Of course they had no money and no uniforms. 'Kick the Bar' was a pretty simple game and one that would cost no money. All you needed was an fairly good bicycle tire that had a blowout. One would cut up the tire into 10 inch lengths. You would stand it on one end, step back and kick it. No gloves were needed. No mitts, masks, or any bats were used, just a blown out piece of tire. It was played like baseball only a center line drawn from first to third marked the line you had to kick the tire piece in the air over. You would kick singles, doubles, triples or home runs. It was a popular game and even leagues were formed. It was then that my uncle Jim decided it was time to organize a football team among the Italians. He had the football coaching experience. He organized the Italians from the North End and Fuller Place. They took off like a sky-rocket and soon the town team couldn't compete and was no more. With Jim as the coach, they became the "Townies". It was the best team the town ever had. The best in the state. Almost all the players were Italian: "Putt" Blandori, Aldo "Footie" Certuse, Guido "Skeets" DeLutis, "Pee Wee" Falotico, and Ceasere "Chippy" Cipriani. 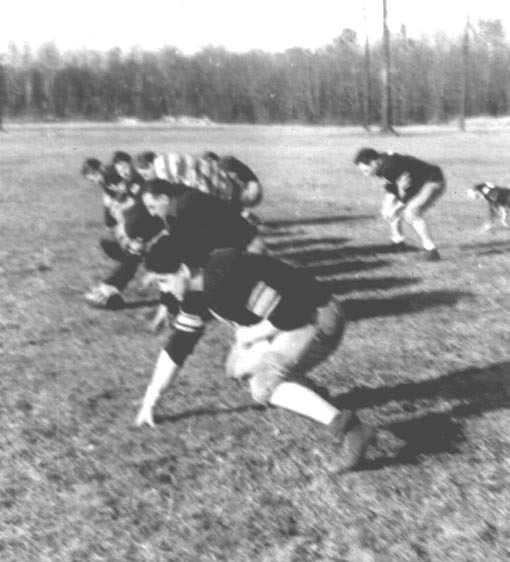 My dad played with "Scutt", Frankie Bruno, "Booty" "Monte" Doug Harris, and Raldo "Coots" Baldini. The whole football team lived north of those traffic lights. One of the best players on the Townies was a kid named Alexander "Al" Ferzoco. He was a good football player in high school and part of the 1935-37 Mansfield High School football teams that were big and powerful. 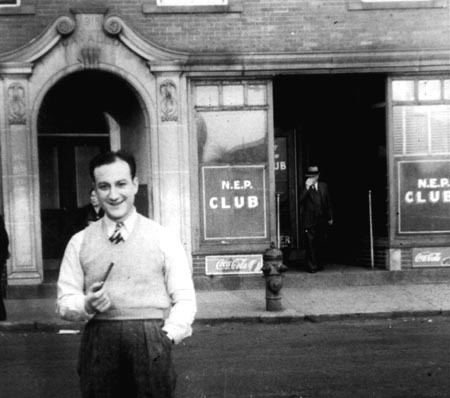 Al Ferzoco excelled on the Townies and was one of my dad's closest friends. "Kick the Bar" continued, but it was never the same. 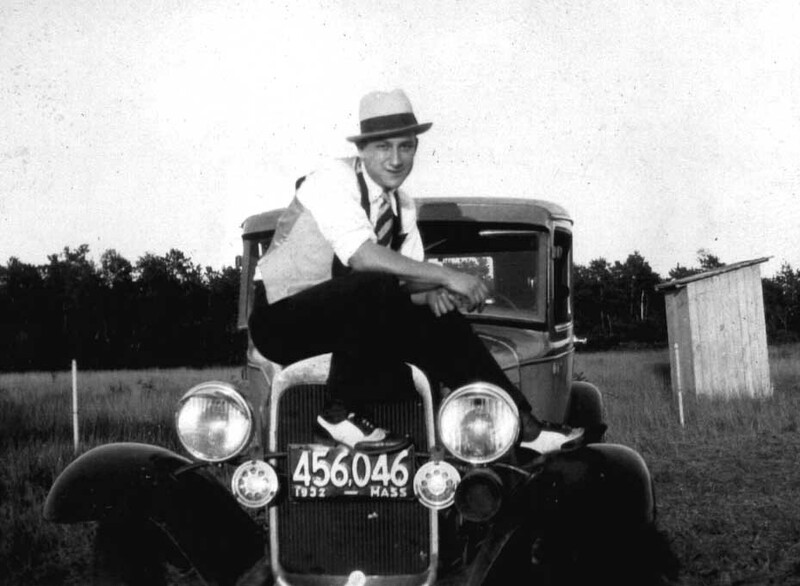 By 1938 my father was 24 years old and owned a car, a 1932 Ford. 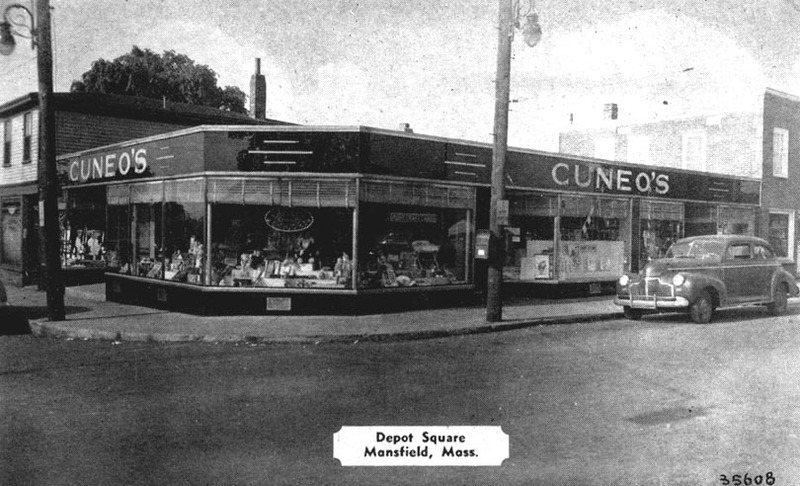 His nieces: Norma, Sally and nephew: Louie Faiella, children of Americo and Mary, would come and visit Mansfield from Quincy. They would all chip in their loose change and my dad would fill up the gas tank and take them all for a ride. Of course there was always enough gas left so my dad could go out on a date later that evening. 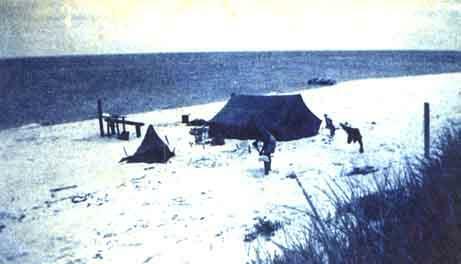 Someone discovered the quiet beaches of Cape Cod and the gang made endless excursions to the beaches in Dennis, Mass. 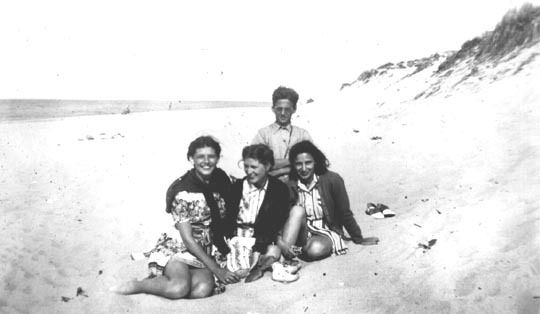 There were so many Italians from Mansfield and Milford that Taunton Avenue, the road to the beach in Dennis, became known as 'Little Italy". 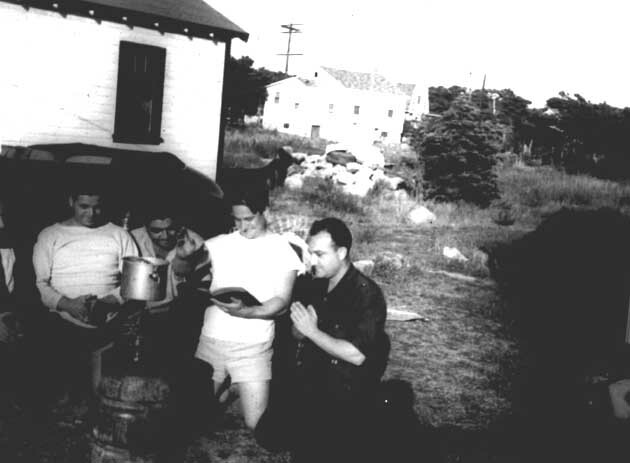 My uncle Charlie built a cottage at 75 Taunton Avenue, adjacent to the Dennis Social Club owned by Secondo Servidori. As soon as the weather changed into summer, the gang and their dates would load up the cars and head to Dennis. 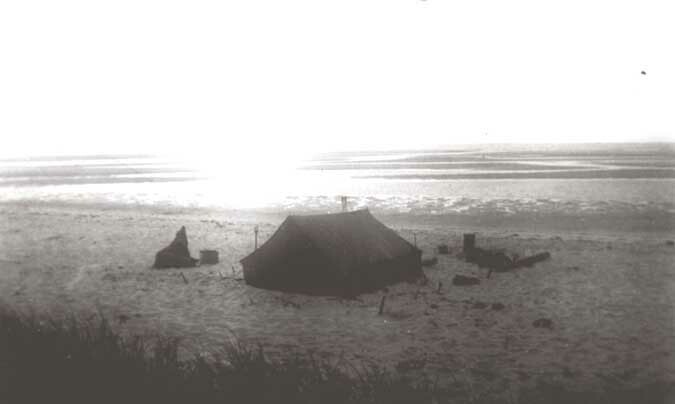 The guys would pitch tents on the open beach and live there for the summer, commuting back and forth only to replenish supplies and invite others down. 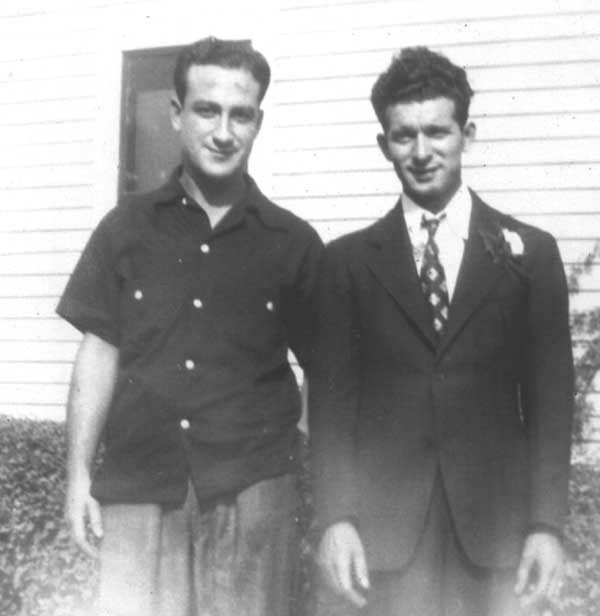 My father was paling around with Joe Melfie and his brother Freddie Melfie. Joe lived on Charles Street just off Oakland Street and was a popular guy. 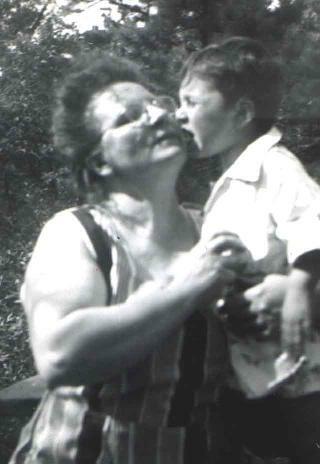 Years later when I was born he became my godfather. 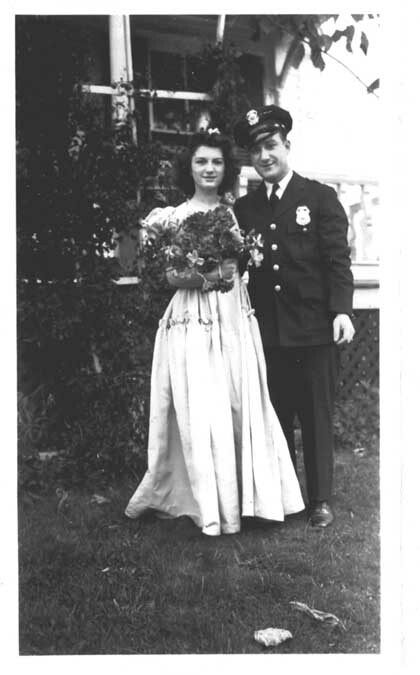 He was my father's best man when he married in 1949. 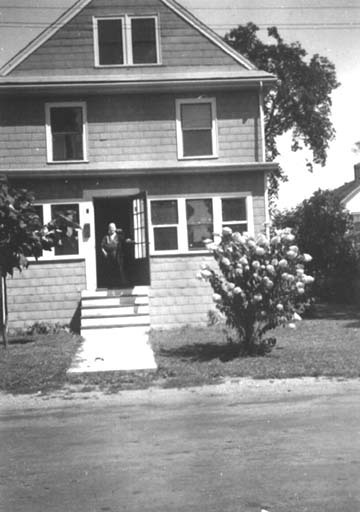 Freddie Melfie built a place off Taunton Ave., in Dennis that was no bigger than an outhouse. One kitchen/bedroom, and a toilet. A brick grill in the yard served up a hot meal. The beer keg stayed on ice by the front door. 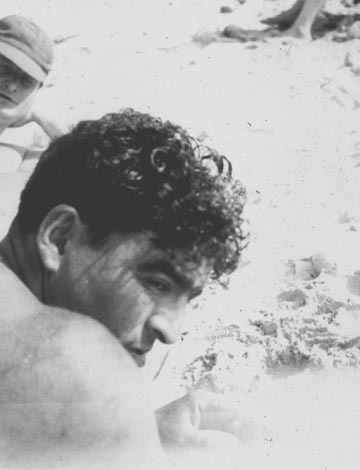 Danny Annese, Bruno "Bra" Guliani and "Lindo" Galanti were always on the beach along with their dates. 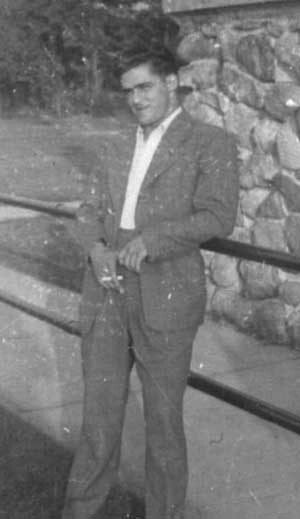 One of my father's close friends who loved the Cape almost as much as my dad was Johnny 'Lundy' Falotico. 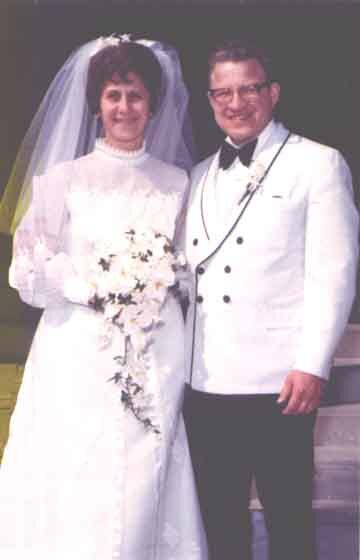 Roger Thayer was dating Lee Cerone and Dom Roman was dating Agnes "Billie" Sousa. 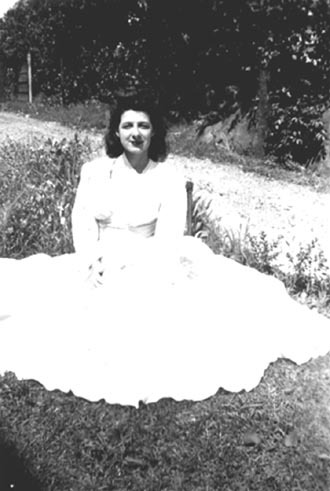 When Roger broke up with Lee, he dated Lucille Sousa, Billie's sister. After Dom broke up with Billie, my father and Billie dated. 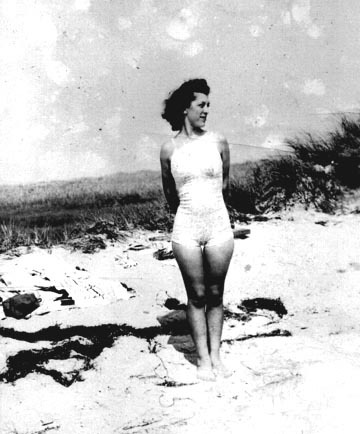 Now Lucille was close to a girlfriend that married a State Trooper named Ray "Red" Moran. In 1940 Mansfield had a big shake-up in politics. 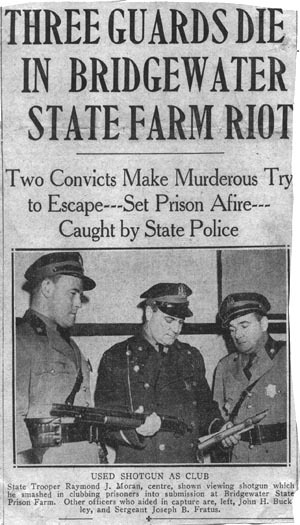 The police chief Ring and policemen McDermott, Richards and Richardson were fired. Red Moran took the job of police chief for one year. Word got out, through Lucille and Billie that Red was looking to hire policemen and my father and Roger Thayer had the inside track on a good job. The pay was $0.50 an hour. My father didn't last too long as a policeman, but that's another story. 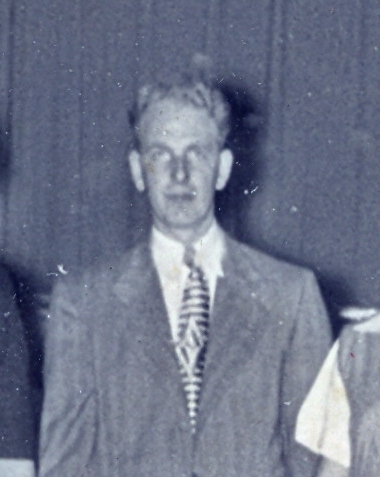 Roger remained a policeman from 1939 to 1947. 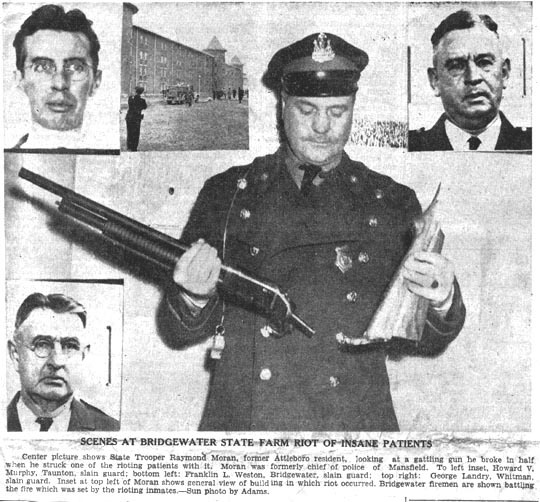 By early in 1941 Red Moran left the police chief's job and went back to being a state trooper. 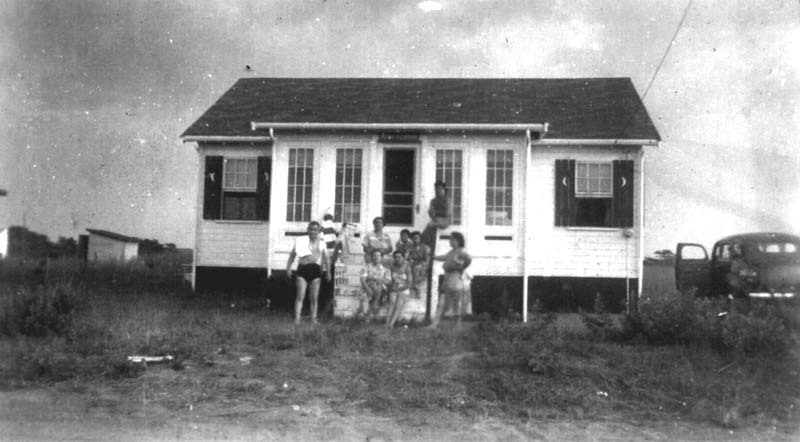 The summer of 1941 would mark the last time the gang was all together. The long, lazy summer on the white sandy beaches of Cape Cod would soon be replaced by different beaches, in different parts of the world. In the next four years those beaches would be called Guadalcanal, Anzio, Tarawa, Normandy and Iwo Jima. 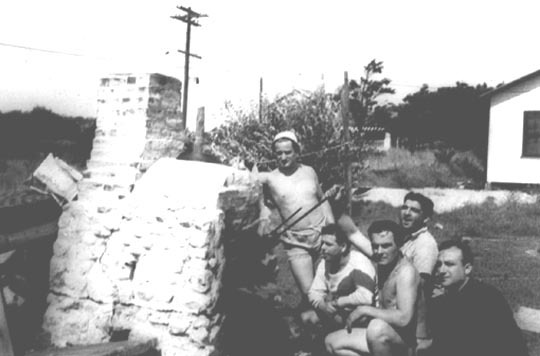 The boys of the summer of 1941 would soon become the men, the veterans, of the Great War. Already there was signs of change as some of the Italians from Mansfield were signing up for military service. 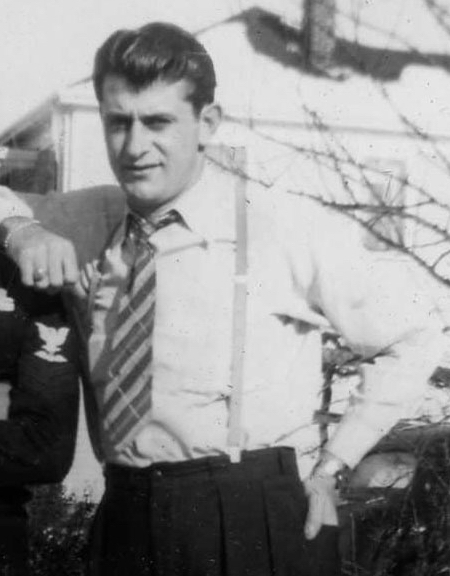 Al Ferzoco was one of the first, joining the Marines. It was decent pay and a good chance to learn some trade. He was given a big shindig by the gang prior to him shipping out. Everyone was surprised he got a pretty easy assignment that summer, the Hawaiian islands and a place called Pearl Harbor.